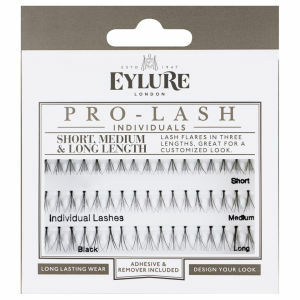 Create a customised makeup look with Eylure's Lash-Pro Individual Lashes - Duos and Trios. 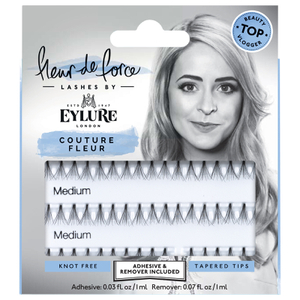 Offering a selection of individual false lashes in sections of two and three flares, the set allows you to perfectly tailor volume and thickness for your ideal lash look. Long-lasting and easy to apply. 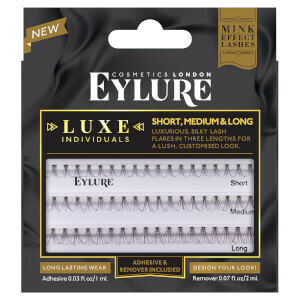 Contains a selection of Eylure Pro-Lash Duos & Trios in short and medium length. Adhesive and remover included.